Apple this morning unveiled the latest version of its mobile operating system, iOS 5, particularly focussing on an overhauled notifications system, an 'iMessage' service, wireless syncing, a 'Newsstand' app, and Twitter integration. However, one of the 200 new iOS 5 features overlooked by many media outlets is custom notification tones for SMS, e-mail and voicemail sounds. Hurrah! Long suffering iPhone users will finally get to create their own custom notification tones, in a similar manner to creating custom ring tones. In addition to SMS, e-mail and voicemail sounds, custom tones can also be created and assigned to calendar alerts. Apple will also introduce custom vibration patterns in iOS 5. Though we are yet to see this in action, we presume you should be able to set different vibration patterns for different notifications. Currently, iPhone users can only select a default Apple tone and vibration alert for these notifications. Among the other 200 new features in iOS 5 you will find a split keyboard for the iPad (allowing users to type with two hands), the use of multitouch gestures to flick between running applications, hourly weather forecasts, typing shortcuts, and personal dictionary support. Curiously, the iPad application on the iPhone is now split into two apps — music and video, so the iPad app is no longer used. 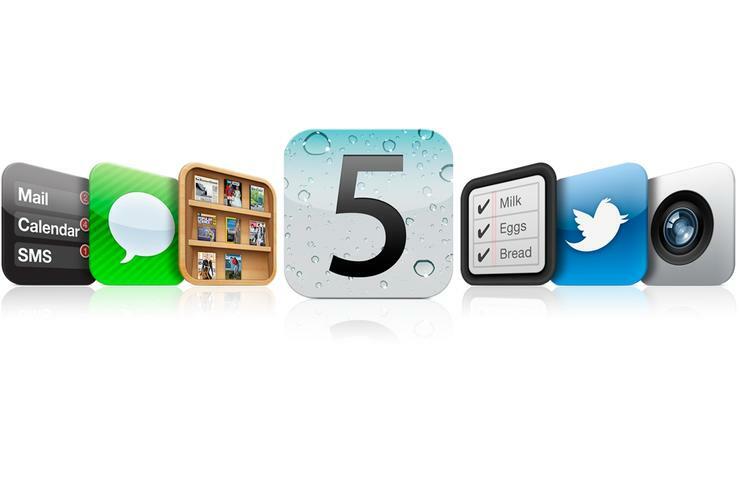 Are you happy with the upgrades in iOS 5? Let us know in the comments below!